Inconel 625 is a high strength material with supreme corrosion and oxidation resistance properties. Therefore, it is recommended for use in the aerospace and chemical processing industries. This super alloy has good mechanical strength and hardness at high temperatures about 2000oF/1093oC to the cryogenic limits. The alloy offers excellent resistance to chloride ion stress corrosion cracking. It is non-magnetic in nature. Due to its toughness, alloy 625 is fit for the degradation of chloride ions. Exceptional corrosion resistance properties of Inconel 625 are due to presence of molybdenum, niobium and solid solution influence of refractory metals. The presence of nickel and chromium elements in Inconel 625 offers the exceptional resistance to oxidizing conditions. 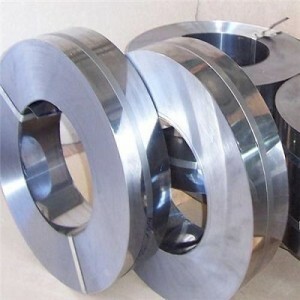 Nickel and molybdenum prevent non-oxidizing attack, and Niobium stabilizes the alloy against sensitization while welding. Inconel 625 is also approved for manufacturing pressure vessels at temperature limits -196oC to 450oC or -321of to 840of. Inconel 625 is commonly used in the forms: Inconel 625 wire, Inconel 625 bar and Inconel 625 plate. We are a leading manufacturer of Inconel 625 wire in diameters– 0.03mm to 12 mm. Inconel alloy 625 wires have a major role as filler metal for MIG, TIG, submerged arc and plasma arc welding of alloys such as Inconel 601, Inconel 625, Incoloy 800 and Incoloy 825. 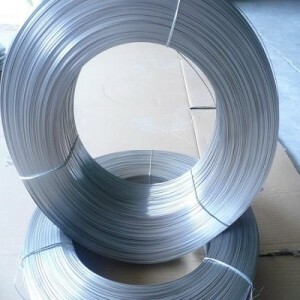 Inconel 625 wire is made in flat, square and shaped wires. Inconel bars and rods are made available in diameter 3/16 inch – 40 inch and cutting length 1 – 20ft. We have received a unique position in the market for supplying the finest quality Inconel 625 bars with excellent durability and high tolerance. These rods are made by the advanced manufacturing techniques that meet the international standards. Our rods are commonly used in turbocharger rotors, seals, pump motor shafts, fasteners, heat exchangers and steam generators. The applications of Inconel alloy 625 plate include heat shields, chimney liners, reaction vessels, furnace hardware, distillation columns etc. We produce the Inconel plates in different widths up to 1500mm and lengths up to 3000mm. Alloy 625 has a face centered cubic lattice structure. The nickel and chromium concentrations enhance the alloy’s mechanical functionality in the solution state in addition of reducing the plasticity. Alloy 625 shows good forming and welding properties. It may be hot processed up to 2150oF. Low temperature hot processing should be done to control the grain development. 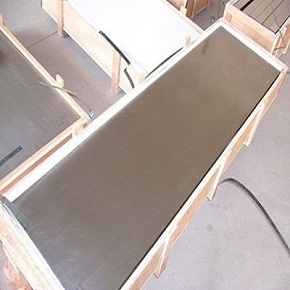 Due to high ductility of 625, it work hardens quickly therefore moderate annealing methods should be followed while the formation of its composite parts. The unrivalled welding characteristics of alloy 625 enable it to join with other metallic materials with unlike compositions, thus Inconel 625 filler metals can be used for welding of different materials. Alloy 625 can be easily welded by manual and automatic methods such as GTAW (gas tungsten arc welding), gas metal arc, resistance welding etc. The main objective of the development of alloy 625 was for steam-line pipes. It has also been widely used in air engines and pulp and paper units. Main applications range for alloy 625 are: heat protection, furnace modules, aerospace and land based gas turbine engines, combustion liners, chemical processing plants, offshore marine water applications such as sheathing of underwater communication cables, pollution control and nuclear power reactors, jet engines, flue gas scrubbers, sour gas production pipes and chimney linings. Due to its highest strength among nickel alloys, Inco 625 is widely used in making aerospace engineering components such as wire rope, propeller blades and propulsion motors. Flexible coupling & EGR Tubes: In the automotive sector, flexible coupling is a challenging application due to severe corrosion mechanism involved. In the design and position of exhaust system, major attacking factors are fatigue, oxidation, warm salt attack, stress corrosion cracking, pitting and general corrosion. For example, EGR tubes may be attacked by fatigue and corrosion. It is essential to choose the most suitable and economical material that withstands the failure. Inconel alloy 625 is fit as the best. Aircraft Exhaust Systems: For aircrafts in U.S. Navy, Inconel 625 is used to construct its CMX-124 tailpipe. The alloy is chosen for its exceptional resistance to fatigue and sensitization in addition of offering good mechanical strength. Recuperators: Inco 625 is used in the production of recuperators in gas turbines.